WestJet is currently showing some great prices to destinations in Hawaii that don't normally go on sale. However, this price is only showing for a handful of date combinations in late November and the first half of December. These are also flights that involve just 1 stop, within Canada, which are the best (and fastest) flights to Hawaii available from Toronto. The dates are extremely limited and availability will likely disappear quickly. November 29 to December 6, 7 or 13 also works, but it only shows 1 seat being available. 2. Search for a flight using one of the date combinations from the list above. As for the destination to enter, it appears to work from Toronto to all major Hawaiian airports, except for Hilo (ITO). 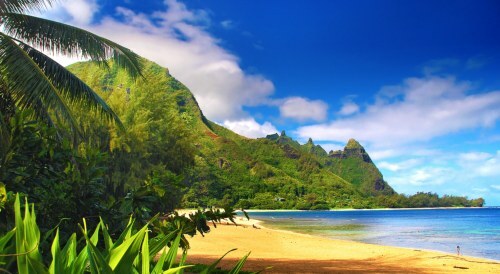 To Honolulu (HNL) or Maui (OGG), it's a pretty amazing price, at around 20% below the very best prices to Hawaii. 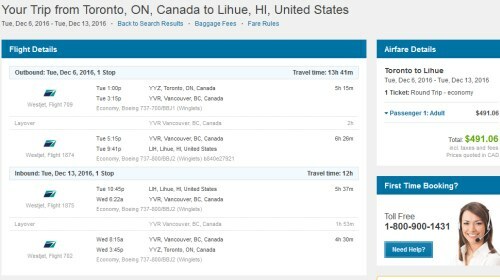 ...which are typically a minimum of around $800 for roundtrip flights, especially the convenient flights that don't route through the U.S.
toronto, yyz, flight deals, united states, honolulu, hawaii, hnl, maui, ogg, lihue, kauai, lih, kona, big island and koa.